Two fantastic vintage storage units have just arrived in stock. 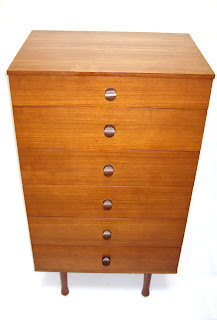 First up is this classic G Plan 'Fresco' low chest of drawers in tip top condition. 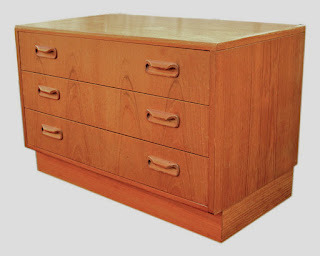 A really useful 81cms wide x 54cms high, this has lots of storage and can be used as a classic bedroom unit or re-purposed as TV unit - perfect size for an alcove! The second unit is a tall and sleek Avalon teak unit from the 1960s. Absolutely loads of room in this vintage six drawer chest of drawers, yet skinny enough to fit into the neatest space - 61cms wide x 112cms high. To reserve one of these units or get more details just send a mail to geoff@kirkmodern.com. Lots of new furniture items will be heading to the Dublin Brocante this Sunday 21st- pop along and say hi!